IRVINE, CA – November 6, 2013 – (RealEstateRama) — Hanley Investment Group Real Estate Advisors, one of the most dominant retail investment groups in the western United States and a market leader in the sale of retail properties, announced today the sale of a single-tenant AutoZone in Palm Springs, Calif. The buyer, a private investor from Irvine, Calif., was represented by Patrick G. Kent of Hanley Investment Group. The seller, a real estate investment company based in Yorba Linda, Calif., was represented by Hanley Investment Group’s Eric P. Wohl. The purchase price was $2,335,000. Located at 1717 East Vista Chino, in Palm Springs, the 5,400-square-foot AutoZone is situated on 1.50 acres and was built in 1980. 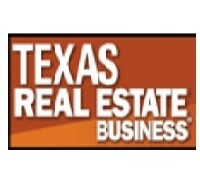 The buyer was in a 1031 exchange and closed all cash in 30 days. 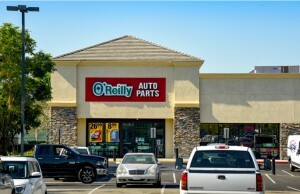 “This transaction marks one of the lowest cap rates for a single-tenant AutoZone in the western United States, due to a long-term corporate guarantee on the lease and the property being located in front of a grocery-anchored shopping center,” said Eric P. Wohl, president of Hanley Investment Group’s NNN division. Built on a solid foundation of performance, integrity and dedication, Hanley Investment Group Real Estate Advisors is a boutique retail investment brokerage firm with a $3.5 billion transaction track record that is comprised of innovative specialists delivering unparalleled service and superior results that consistently exceed client expectations. Hanley Investment Group’s expertise, commitment and unwavering focus of putting the client’s needs first have continued to set the company apart in the industry. Hanley Investment Group works closely with individual investors, developers, and institutional property owners in every facet of the transaction to insure that the highest value is achieved. Clients rely on Hanley Investment Group to be the most knowledgeable and trusted source for valuation services, market information and retail property acquisitions and dispositions. For more information, visit the Company’s website at www.hanleyinvestment.com or call (949) 585-7610.